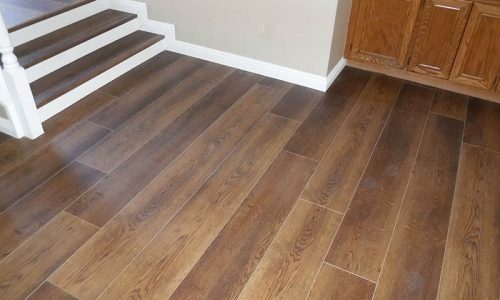 Waterproof Luxury Vinyl is a great alternative to hardwood, stone or tile and is tough against scratching and denting, and of course, it’s water proof! It is an excellent choice for an active home, saving you stress from cup spills and more. 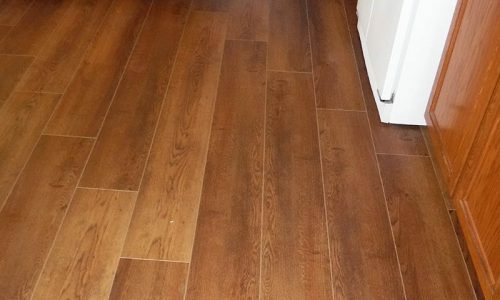 Waterproof Luxury Vinyl flooring looks so close to actual wood that most people assume it is a hardwood floor. 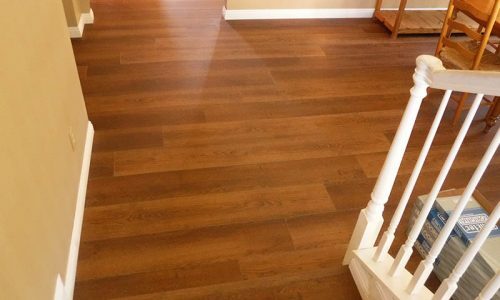 Traditional laminates or Pergo style floors are pictures of wood or tile on a high density fiber board, they are very durable and resist scratches and dents very well, and are inexpensive. However they are not waterproof and can chip. 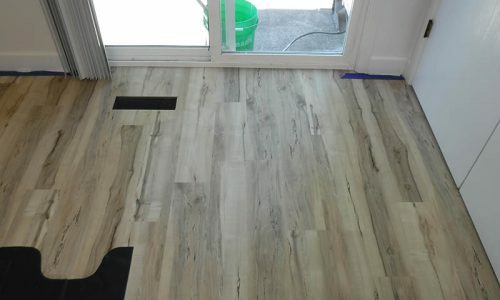 Water proof Luxury Vinyls are pictures of wood or tile on a water proof vinyl plank. They are also very durable and resist scratches and dents. 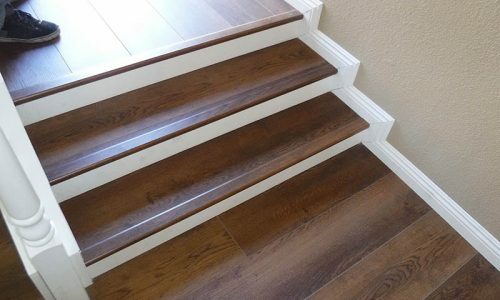 The water proof floors tend to outlast traditional laminates due to the fact that eventually some type of moisture related issue damages the traditional laminates. Direct sun can damage waterproof Luxury Vinyls, so window coverings are recommended to limit direct sunlight on these floors. 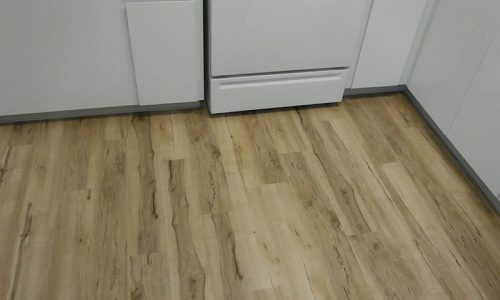 Many of our waterproof Luxury Vinyl Tile and Luxury Vinyl Planks, (LVT and LVP) have commercial wear warranties and lifetime residential wear/water warranties making then an excellent choice for rentals, or active homes with kids and pets. Since the waterproof products can be used in kitchens and baths many people do their entire home with one product for an elegant and seamless look.